Families are more than welcome at Jimmy’s. 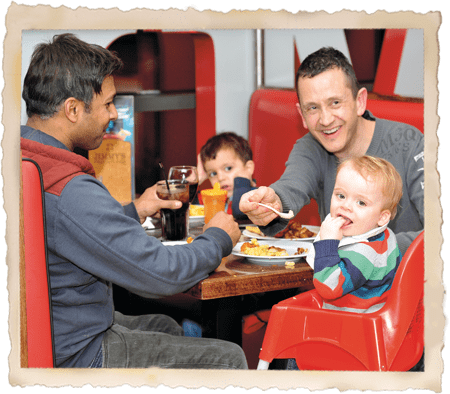 For children Jimmy’s is an Aladdin’s cave of excitement and with almost every choice of food available they’ll surely be happy whether it’s Pizza or Pasta, Chicken nuggets and chips or maybe something more adventurous. Either way it’s guaranteed they’ll end up at the Ice Cream Tapenyaki station at the end of the meal. Jimmy’s also offer outstanding value for money for children and those under the age of 10* dine for half price and those under the age of 3* dine completely free. Please check individual restaurant page for details. * Child age may vary between restaurants.